Dea-Scéal do thodhchaí na Gaeltachta mar phobal beo bíoga bríomhar a bhí san ollchruinniú a d’eagraigh ár gcomrádaithe Teacht Aniar sna Forbacha ón Aoine go dtí an Satharn. Tháinig coistí pleanála teanga ó cheantair Ghaeltachta ar fud na tíre le chéile le cinntí a ghlacadh faoina bhfuil i ndán don ghluaiseacht ar son todhchaí na Gaeltachta. Bhí toscaireacht láidir ag Misneach i láthair ann. Bhí toradh maith ar an obair agus tá na coistí pleanála ag tógáil céimeanna móra chun cinn. 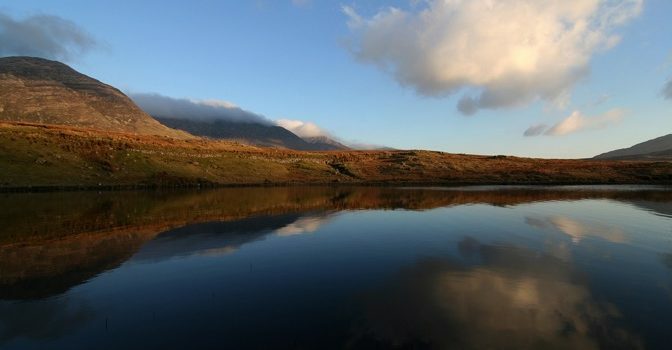 Tá an-mhisneach againn go mbeidh rath agus bláth ar an iarracht seo agus go dtabharfaidh sé dúshlán an stáit nach bhfuil ag freastal mar is cóir ar mhuintir na Gaeltachta. Tá nuacht le teacht faoi seo fós. Impíonn muid ar Ghaeil ar fud na tíre a bheith páirteach sa phróiseas thábhachtach seo. Coinneoidh muid ar an eolas sibh. Tar éis sin, d’fhreastail baill ar ócáid mhór a d’eagraigh an Bruach Thoir, Coiste Pleanála Teanga i Mionloch, baile beag Gaeltachta le taobh chathair na Gaillimhe. Cé go bhfuil an pobal teanga go mór faoi bhrú ag an mBéarla sa gceantar sin bhí togha oíche ann, le trí scór duine bailithe le chéile chun foghlaim faoi na hiarrachtaí atá ar bun chun an teanga a ath-neartú ansin. Bhí ceol, caint agus craic ann de bharr na hoíche. Thug ball amháin de Mhisneach caint ar chanúint na háite (a dtugtar “Gaeigle” uirthi go minic), d’inis baill eile scéaltaí sa stíl thraidisiúnta, agus léiríodh spéis mhór in ár n-iris, Mionlach. Muna bhfuil sibh páirteach cheana féin i Misneach déanaigí teagmháil linn agus bígí gníomhach sa chuid is radacaí de ghluaiseacht na nGael! Organised by our comrades in Teacht Aniar, the well-attended meeting in the Forbacha Gaeltacht in Connemara which was held from Friday to Saturday was a great success for the future of Irish as a living language in the Gaeltacht regions. 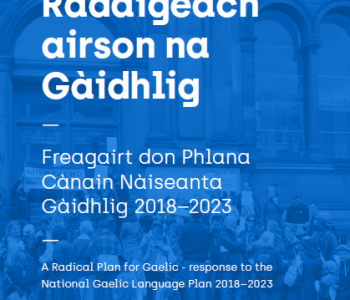 Language planning committees from the country’s Gaeltacht regions came together to make decisions about the future of the movement for the future of the Gaeltacht. Misneach were strongly represented at the event. The work yielded good results and the planning committees are taking great steps forward. We are greatly encouraged that these efforts will come to fruition and be able to challenge the state which has not, up till now, provided the adequate services required by the people of the Gaeltacht. There will be news announced about this soon. We implore Irish speakers around the country partake in this most important process and we will keep the public updated on its progress. Afterwards, members attended a large event organised by an Bruach Thoir, the Language Planning Committee in Menlo, a small Gaeltacht beside Galway City. Although the language community there is under great pressure from English, the night was a resounding success with upwards of sixty people coming together to learn about the efforts that are being made to revive the language in that part of Galway. There was music, conversation and craic during the course of the night. One member of Misneach gave a talk on the particular dialect of the area (often called “Gaeigle”), while another told a number of stories in the traditional style, and there was much interest shown in our magazine, Mionlach. If you are not a part of Misneach then get in touch today and be active with the most radical section of the Irish language movement!